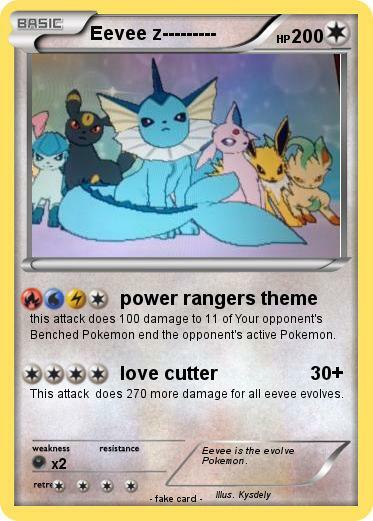 this attack does 100 damage to 11 of Your opponent's Benched Pokemon end the opponent's active Pokemon. This attack does 270 more damage for all eevee evolves. Comments : Eevee is the evolve Pokemon.